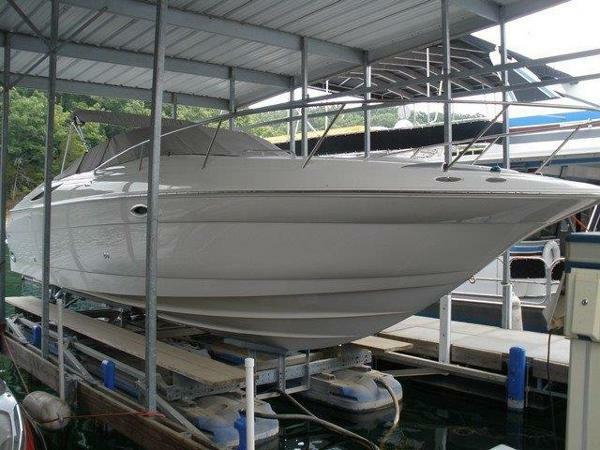 This boat handles well - easy to dock and place/remove from the trailer. The boat has a solid sound system and ample seating for 8 people. Plenty of storage and cupholders. Ready for the party - Don't Miss This One! Stock #161097 Excellent Condition. Great Looking. Professionally serviced. 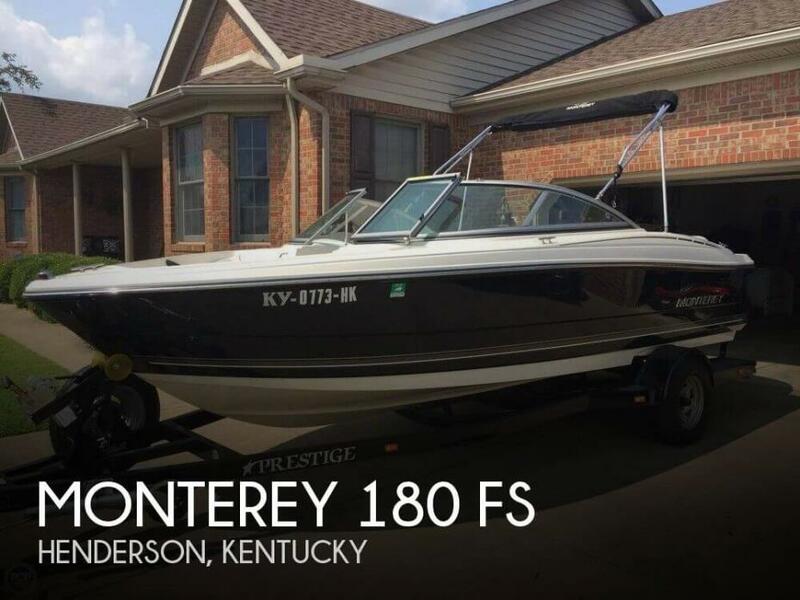 If you are in the market for a bowrider, look no further than this 2008 Monterey 180 FS, just reduced to $15,500 (offers encouraged). 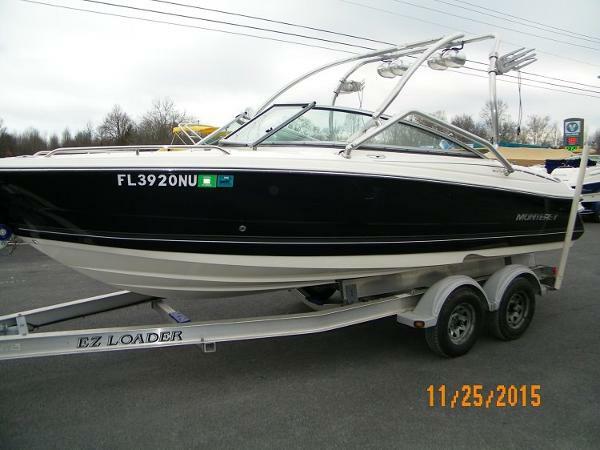 This boat is located in Henderson, Kentucky and is in great condition. She is also equipped with a Mercruiser engine that has only 169 hours. 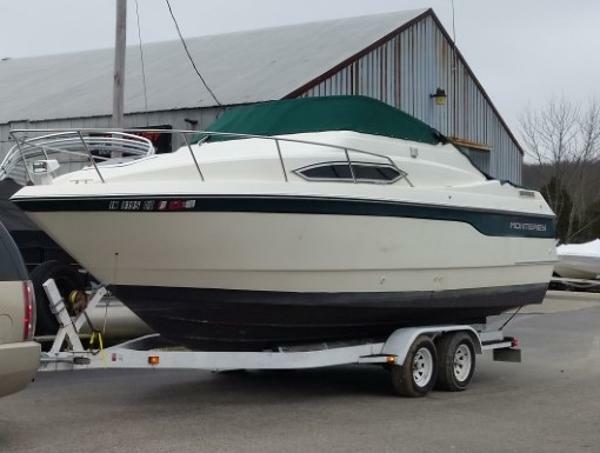 Reason for selling is going to a different style boat, most likely a pontoon..
1996 Monterey 256CR Check out this well taken care of, freshwater Monterey cruiser powered by Mercruiser 5.7L with Bravo 3 (254 hours)! Includes camper canvas, bimini, cockpit cover, compass, depth finder, stereo w cd, pump out head, dockside air, chartplotter, GPS, VHF, microwave, cooktop, fire suppression system and more. Also includes tandem trailer with new bunks, brakes, and lights. Service records available. Located in Louisville. All trades considered. 2013 Monterey 244FSX Folks this boat is loaded with very low hours!!! Give us a call today, way too many options to list. 2008 Monterey 214 FS Nice used bowrider with tower. Powered by Mercruiser 5.0. Sitting on nice tandem trailer. 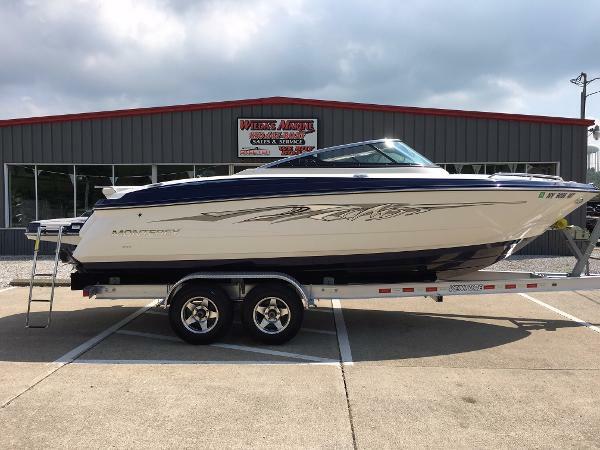 2015 Monterey 218 Super Sport With the sensational success of our largest Super Sport, the 328, we gathered the best attributes of that beauty, and designed an entire line of boats. At 21 feet in length, she may be the smallest of the Super Sports, but don’t let her size deceive you. This is one mean machine. Also included is a Heritage tandem axle trailer with disc brakes and spare tire and rim.